Fish guts taste good. 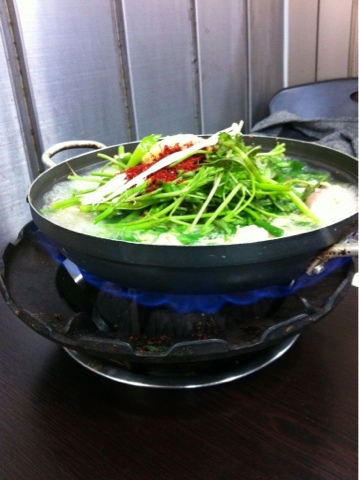 Especially when they are all boiled together in a spicy fish broth with bean sprouts and other veggies. 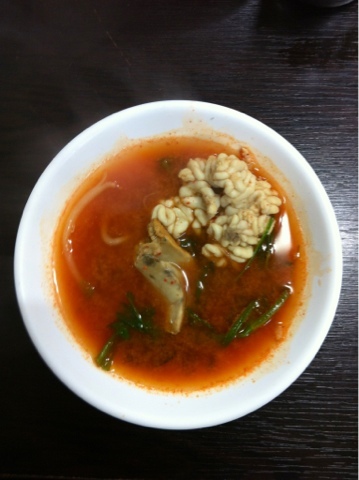 Myeongtae is walleye pollack and naejang are the guts such as the intestines, liver, eggs, and other vittles. I know. It doesn't sound delicious, but in a hot broth when you are recovering from a night of drinking it is. 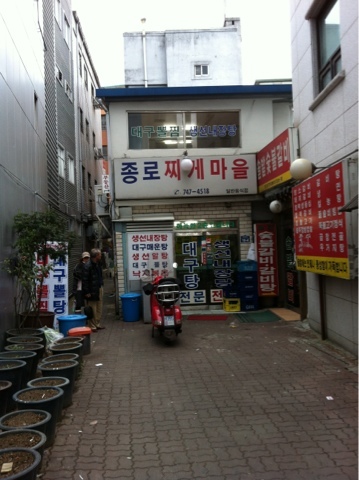 The place I like to go is right next to my cooking school: Jongno Chiggae Ma-ul. 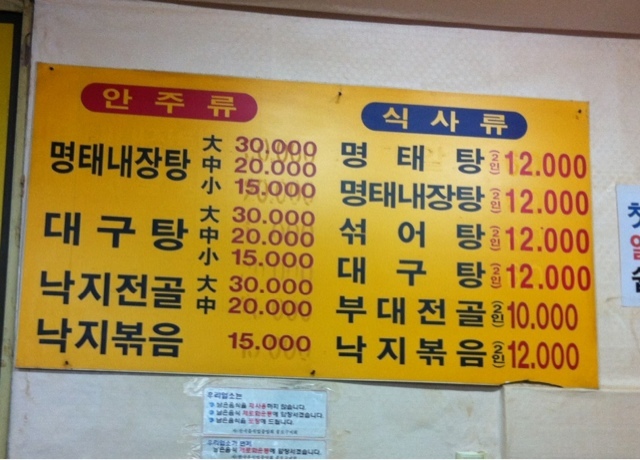 They do a big bowls of different seafood and fish stews. They even have shark meat soup. It's a locals place so you'll often see people doing shots of Soju in the afternoon with their soup. I highly recommend you try it out. It is perfect for winter time.